Having added a number of exceptional recent build villas in the Cote d'Azur region to the range of villas in France recently it has been interesting to see that they have attracted clients who are prepared to pay good money for the quality of holiday living they offer and that has encouraged Villas Worldwide / Villas du Monde to expand the category further. I have been visiting and inspecting villas since the 80's and I must admit back then it was hard to get enthusiastic about the modern style villas at the time. Perhaps it was because the prevailing view then was that when visiting another country and staying in a house there was a desire to experience authentic local style and decor, though some of the French wallpaper I came across provided a strong counter argument. In more recent years there has been a distinct levelling out of design and tastes across countries and there is no doubt that IKEA has had a lot to do with that. Equally building techniques have progressed a great deal as has our way of living. Most notably the open-plan style which breaks down the barrier of the kitchen and the living area, though I have observed that glass screening has become increasingly favoured as a means of separating odours and noise whilst retaining visual contact between whoever is charged with cooking and those relaxing. The other big difference is in the quality of double (even triple) glazing and insulation which allows the living area to be almost completely open to the garden and pool area without losing heat at night when the sliding glass doors (often retracting into the walls) are closed. These are building techniques which can be found in most parts of the world now well-travelled folk are becoming accustomed as to what to expect and they also know what they are looking for. Finally there is the difficulty of maintaining old houses, especially when it comes to plumbing but also a whole load of other factors. Quite a lot of the housing stock in European costal resorts dates back to the 60's and it's not aging terribly well. 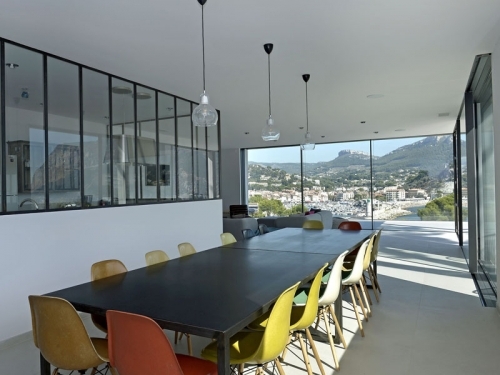 So I was not surprised when visiting a new addition villa in Cassis in February this year that the owners had demolished the original house and completely rebuilt the new one which was finished last year. It is in an exceptional location overlooking the lighthouse and harbour of one of the prettiest villages on the coast flanked by dramatic limestone cliffs and you can walk to everything including a nice sandy beach. It is a big luxury villa with a huge infinity pool, a large, cleverly glazed kitchen and a vast living and dining room with patio doors which slide back entirely on two sides so you can admire the amazing views to the full and stroll out onto the patio terrace whilst a gentle breeze wafts up from the sea. 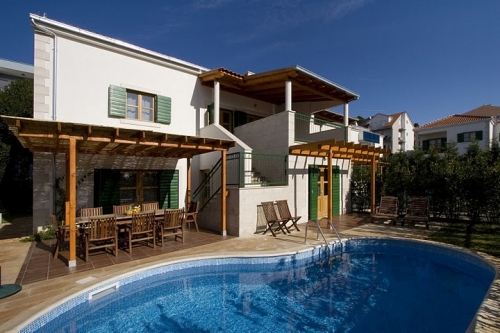 The CAS1801 Grand villa a Cassis sleeps 18 people, it has 8 bedrooms and 8 bath/shower rooms. 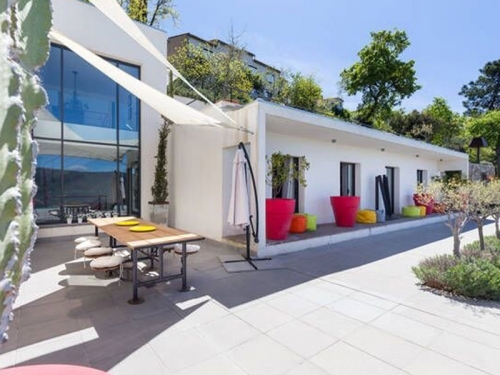 Prices range from 6000 € to 11700 € per week which is very good value on a per head basis when full compared to a even a medium standard hotel in a similar setting and of course you keep the pool and sun loungers for yourself. Do have a look at the full expanded range of Villas Worldwide / Villas du Monde modern villas or ask for more details.